Parenta Trust – our first year achievements! Our trust is one year old next month, so I wanted to update you on what we’ve been up to, how we’ve been fundraising and what we’ve done with the money raised. What we’ve achieved in our first year! Last year’s Maidstone to Monaco rally was a huge success. We raised a fantastic £15,000, which has enabled us to start work on our first pre-school! Amanda Presland went to Uganda with Debbie Cameron and David Philpot, two representatives from our partner, Fields of Life, to break ground. You can read about Amanda’s trip here. The project is about six weeks from completion and I’m so excited to see how the finished building starts to change lives! It’s based in an area called Luwero, which was once known as Uganda’s killing fields. 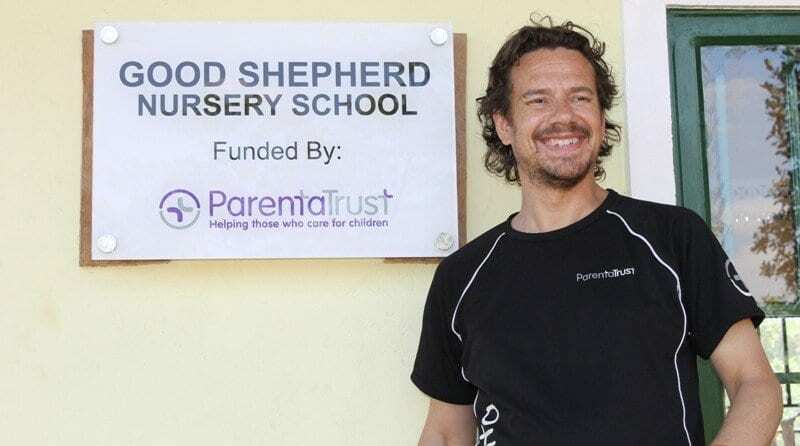 Housed within the grounds of the Good Shepherd primary School, the kindergarten will provide pre-school education for around 120 orphans and deprived children in the area. What’s the aim for this year? Our work in Africa is only just starting and we’ve set ourselves two big challenges for our second year. Firstly, we want to get sponsorship for every one of the 117 children at the pre-school. Sponsorship costs just £17 per month and provides the children not only with their all-important education, but also with two meals a day and clothing. Our second challenge, is to raise enough money to build a second pre-school. How we’ll be raising money this year – and how you can join us! Maidstone to Monaco – The Return, takes place from 25 – 29 June 2014. We’d love for you to join us! If you took part last year,or you’re thinking about entering this time, you’ll enjoy reading Andy’s story of the trip – Andy and the furry Volvo take on Europe! We’ll also be inviting friends, colleagues and supporters on a five day trip to Uganda on the 29th May 2014. The aim is to visit several school projects and officially open the new nursery, raising awareness of the charity and work we’re doing. If you’d like to find out more about Uganda, or the work of Parenta Trust, or our partners on the ground, Fields of Life, please do enquire here for more information. Read about Debbie’s visit to Uganda last year. To take part in Maidstone to Monaco, sponsor a child or offer other support to the Parenta Trust just reply to this email or register an interest on our website. We’d love to hear from you! Finally, I’d like to personally thank everyone who was involved in our fundraising events so far; as you can see here, your efforts really are making a difference! You can also make a donation to the next pre-school through our Just Giving page!